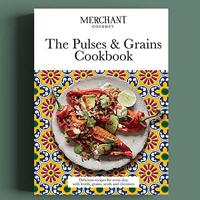 You have a chance to get your hands on a free Pulses & Grain cookbook. Just follow our link and submit your entry by filling up the form and if won, this book will be delivered to your mailing address. Click on “GET IT HERE” button and then follow instructions given above for a chance to win 1 of 50 of these books.